The impact of the insecticide chlorpyrifos (CPF) on the mammalian digestive system has been poorly described. The present study aimed at evaluating the effect of chronic, low-dose exposure to CPF on the composition of the gut microbiota in a Simulator of the Human Intestinal Microbial Ecosystem: the SHIME® and in rats. The SHIME® comprises six reactor vessels (stomach to colon). The colonic segments were inoculated with feces from healthy humans. Then, the simulator was exposed to a daily dose of 1 mg of CPF for 30 days. 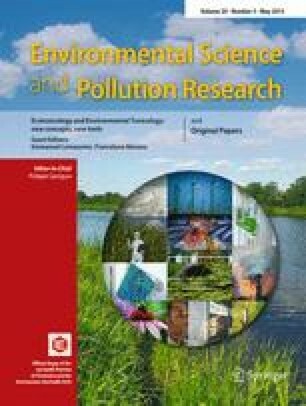 The changes over time in the populations of bacteria were examined at different time points: prior to pesticide exposure (as a control) and after exposure. In parallel, pregnant rats were gavaged daily with 1 mg/kg of CPF (or vehicle) until the pups were weaned. Next, the rats were gavaged with same dose of CPF until 60 days of age (adulthood). Then, samples of different parts of the digestive tract were collected under sterile conditions for microbiological assessment. Chronic, low-dose exposure to CPF in the SHIME® and in the rat was found to induce dysbiosis in the microbial community with, in particular, proliferation of subpopulations of some strains and a decrease in the numbers of others bacteria. In compliance with European guidelines, the use of the SHIME® in vitro tool would help to (1) elucidate the final health effect of toxic agents and (2) minimize (though not fully replace) animal testing. Indeed, certain parameters would still have to be studied further in vivo. The authors thank Professor Willy Verstraete for his assistance with technology transfer from Belgium to France, Dr David Fraser for improving the manuscript’s English language, and most particularly, the French Ministry of Research and the Picardy Regional Council for providing financial support for this project.